From the same minds who brought us the devious sniper; Cynicus... 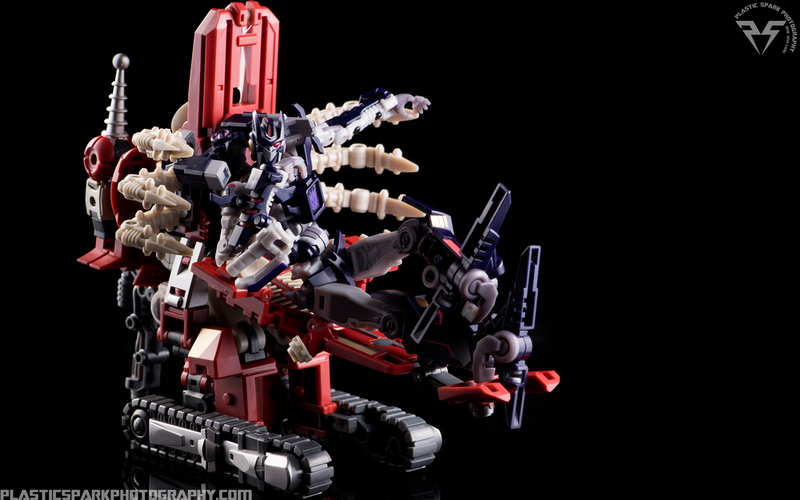 Mastermind Creations has given us Anarchus. 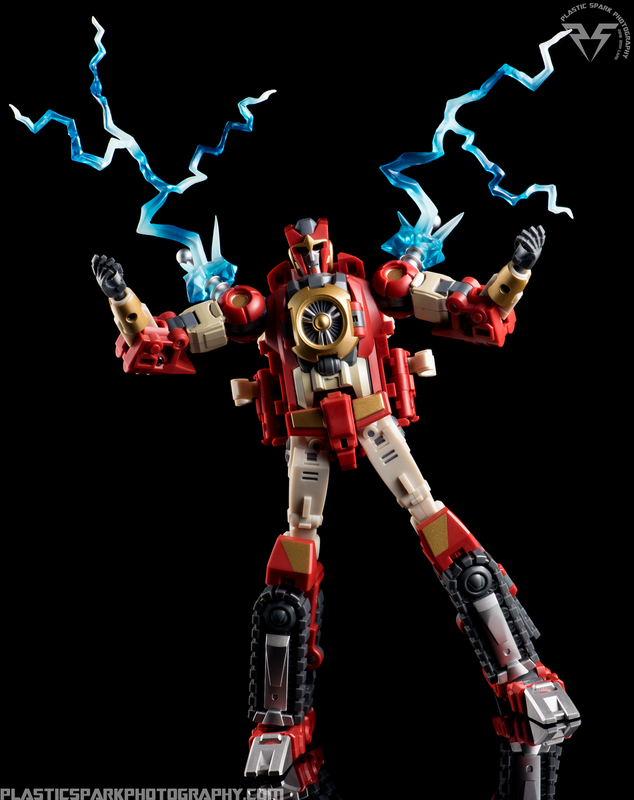 Anarchus is an homage of Kaon; The electrifying communications officer of the DJD from the Transformers: More than Meets the Eye comic series. Kaon is capable of transforming into a terrifying torture device similar to an electric chair. 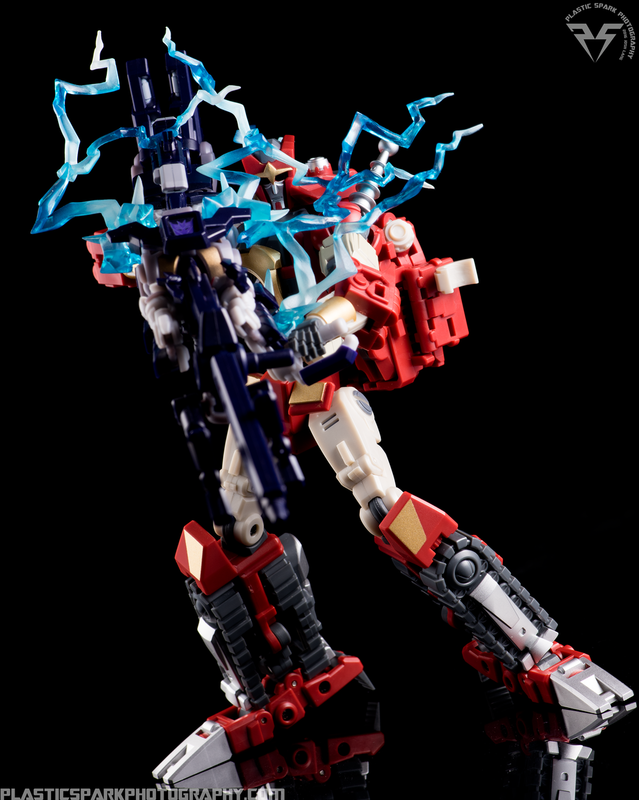 Kaon can direct his electrical energy directly in to his victims and short circuit every system in their body. "Trailbreaker's gone to pieces now that Anarchus is here..."
Anarchus turns into a Cybetronian electric torture chair. There's not a lot to be said about it that you can't see in the photos. He's a dentists chair from hell. His seat and foot rest are adjustable to accommodate figures of various sizes and the skull cap is on an articulated arm to allow for fine tuning for characters of various heights. His twin Tesla coils are mounted on the rear of the chair and he has tank treads to allow him to transport his victims without disengaging them from his grasp. The chair looks fantastic and looks incredibly accurate to his comic book appearances. "We're ready for you...please have a seat...the doctor will be with you shortly." The transformation is fairly intuitive and after following the instructions once or twice you'll get the hang of it without much trouble. Unlike Cynicus I didn't feel that any portion of Anarchus was fragile or finicky while transforming him. It can be a bit of a chore getting figures to sit on him in alt mode but smaller figures fit well. I found the most luck using deluxe size figures with little to no backpack. 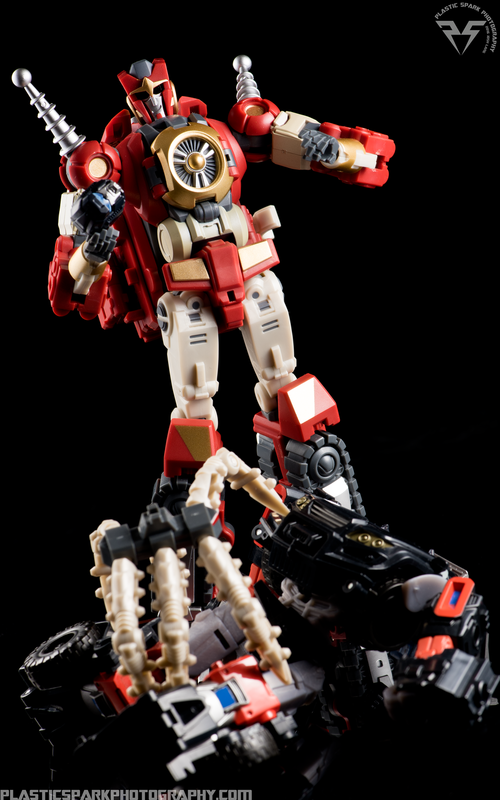 His spider arm pieces can be mounted on the chair to help lock down any bot hapless enough to fall in to his clutches. They can also be made into a small 6 legged bug drone that can also carry his plasma cannon around. The drone is fun on his own and while not a character or piece of equipment shown in the comic he is a neat little addition. "He's not any more pleasant from the back..."
Technically Anarchus is advertised as having a secondary alternate mode that is not based on any source material from the comic book. He can turn in to a mechanical scorpion. The scorpion mode is pretty cool and while it certainly screams “fan mode” when looking at it, it's still neat that they seemingly included the bug drone parts solely to facilitate this alternate transformation. "Not a headmaster but still pretty cool." 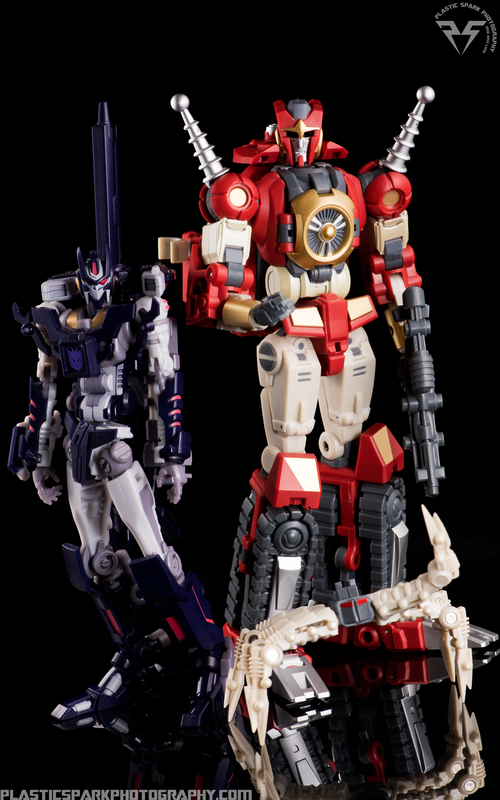 Anarchus' bot mode is a spot on representation of Alex Milne's design for Kaon. The generator chest, the Tesla coil shoulder spikes...that head sculpt. Kaon has a great head and face with his signature empty black eye sockets. The attention to detail to bring Kaon to life as Anarchus is astounding and I must commend MMC on a job well done aesthetically. "He's a lean, mean, electrocutin' machine!" Anarchus has a very robust skeleton and is capable of most poses you would want from him. Let's get the bad out of the way first; He doesn't have thigh swivels. Due to transformation his thighs fold up and can't allow for a thigh swivel. This doesn't make the figure impossible to pose but it does cause you to have to think creatively to solve little posing problems that would normally be solved by a simple twist of the thigh. His lower legs are quite long and don't allow him to assume a natural looking kneeling pose very well. Not a deal breaker but it does make a nice sniper pose with Cynicus a bit harder to achieve. He also is not capable of a full turning movement at the waist due to how he is assembled. "Yeah... this isn't great but it's the best he can do..."
Other than those slight issues I found Anarchus to have a great range of movement. Here's a basic rundown. - Double hinged ankles (tilt side to side and front and back) as well as a toe hinge and pivot. - Single jointed knees capable of just under 90 degree bend. - Universal hips with full movement front, back, and to the side. He is capable of a full split. 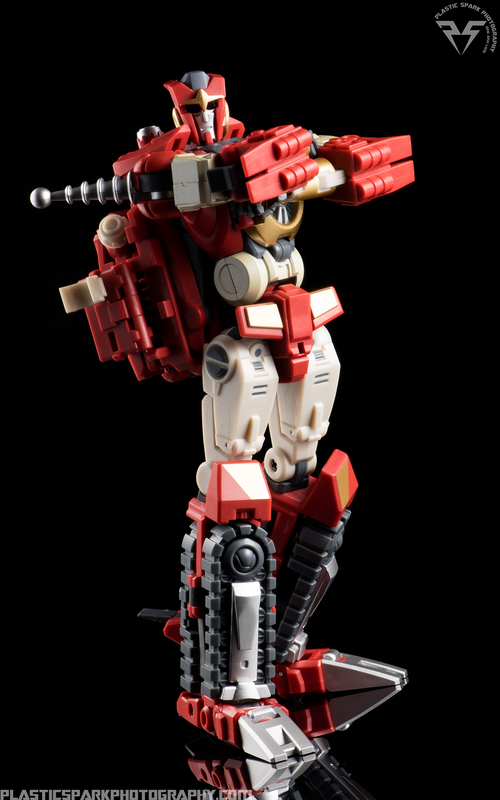 - Ball joint waist that allows for limited movement left to right, as well as leaning the torso. - Transformation joint allows for a forward butterfly movement of the shoulders by un-clipping them from the torso. This can work from certain angles but certainly isn't a commonly used point of articulation. - Universal shoulder joints with separately adjustable Tesla coils. The arms can lift straight out to the side well over 90 degrees with no issues. If the Tesla coils were not there they could surely move a full 180 degrees straight up. The arms can go a full 360 degrees parallel to the body without any hindrance. You may need to adjust the coils if they are hitting the backpack. - 2 separate 90 degree elbow joints allowing for a double elbow capable of folding his wrist flat against his bicep. - There is a bicep joint hidden above the top elbow joint. It's a bit lower down than you would expect but it is very versatile for it's location. - Ball jointed wrists allowing for a lot of fine tuning of his hand position. Great for expressive poses. - Ball jointed neck and a simple transformation hinge allow his head to look up, down and all around. He can tilt his head to the side for a quizzical look. There is a sort of collar piece formed by the chair modes foot rest that sites around Anarchus' head. While it doesn't severely limit head articulation you can move it if you need to extend his usable range. "The most electrifying Decepticon in 3rd party entertainment today!" Anarchus comes with a medium sized plasma rifle that can be plugged in to his hands, or the top of his spider drone. The rifle looks great but he has a very hard time holding it. You have to position the rifle just right in his hands or it falls out with the slightest touch. This was a bit disappointing from a company who usually has their tolerances on point. "The upside to having no visible eyes... no one expects me to hit anything." Anarchus' other accessory is the small 6 legged bug drone that can be mounted on his arm in robot mode as a sort of shield or claw weapon. You can also split the drone in half and mount the halves on his forearms as a sort of goofy wolverine claw. The separate pieces can also be mounted on the sides of his abdomen in the same configuration as alt mode to form sort of side claw/wing things. The drone seems like he's at his best on his own carrying around the plasma rifle but at the same time he isn't really from the source material so this is something that MMC chose to add on their own. "Friends who slay together, stay together." Aesthetically Anarchus absolutely fills the role of Kaon on my DJD shelf standing next to Vos (Cynicus) and waiting patiently for the rest of their roster. His transformation is intuitive, He doesn't feel fragile or scary to handle like Cynicus can at times. He is a fairly solid piece with no small parts threatening to break when transforming him. I'm very satisfied with this purchase and I look forward to picking up the next release from Mastermind Creations, Kultur, their version of the DJD leader Tarn, as soon as he becomes available. Check out the full gallery for way more pics of Anarchus in action! P.S. The Tamashii lightning effects work really well with this guy! What do you think? Leave me a comment below! 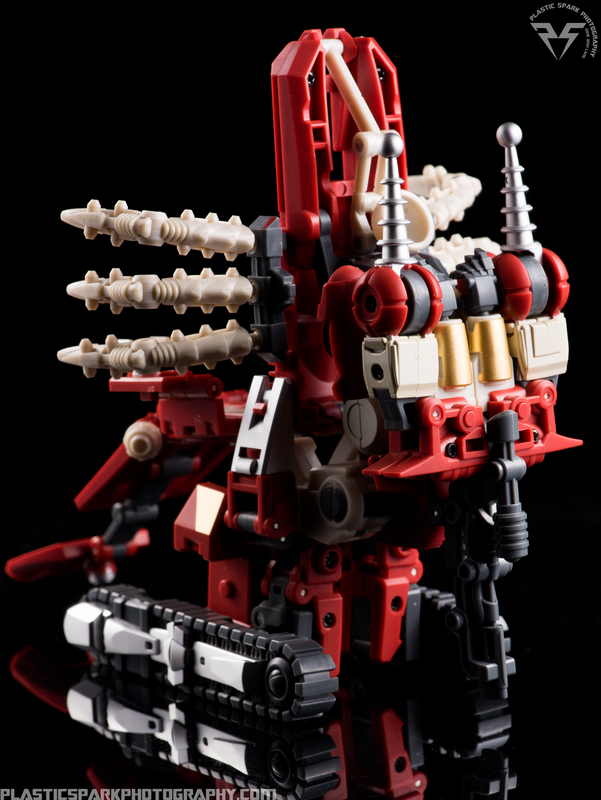 I would love to hear your thoughts on Mastermind Creations Anarchus!